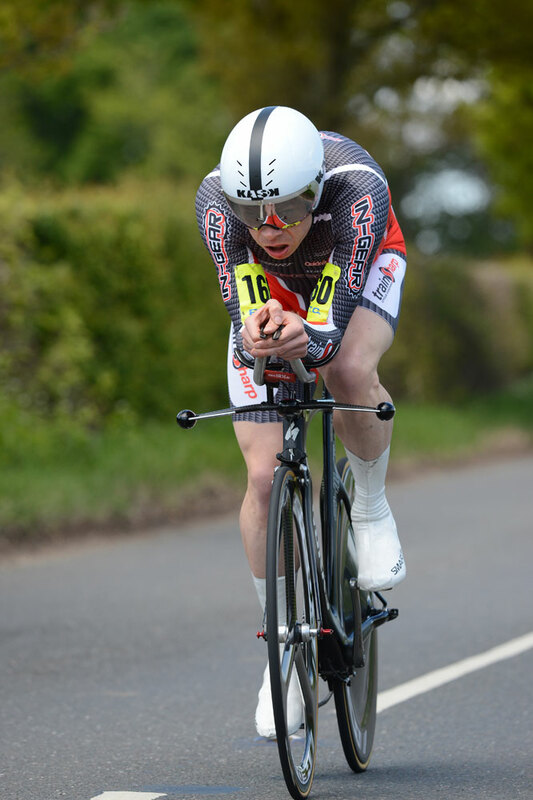 Holders Michael Hutchinson and Julia Shaw successfully defended their 10-mile time trial titles in the opening RTTC championship of the season over a rural Hingham-based circuit in Norfolk. Hutchinson (In-Gear Quickvit Trainsharp RT) produced a strong finish into a stiff headwind to turn a five-second halfway deficit into a winning margin of seven seconds over Matt Bottrill (www.drag2zero.com) to secure his tenth title at the distance as he came home in 19-20. The bronze medal went to Hutchinson’s team-mate Doug Dewey, 19-36, and with Peter Tadros, 20-36, backing up in eighth place, In-Gear claimed the team title by 11 seconds in a close scrap with Drag2zero whose three counters were all in the top seven finishers – Jeff Jones, 19-58 for fourth, and Mark Holton, 20-18 for seventh, supporting Bottrill. Fifth place went to Olympic team pursuit gold medallist Steven Burke MBE (Node4 Giordana RT), 20-02, ahead of last year’s junior champion Ryan Mullen (Team IG Sigma Sport), 20-16. “I was pretty much happy with how it went from the off,” said the delighted Hutchinson. “I had a time check from my coach around halfway and at that point I was down slightly, but I was never particularly worried. “It was a hard ride, but it never got to the point where I felt I was in trouble. Shaw (www.drag2zero.com), who celebrated her seventh 10-mile title, was always in control as she came home in 22-19 to win by 16 seconds from Rebecca Slack (Look Mum No Hands) with third place going to Hannah Barnes (MG-Maxifuel Pro Cycling), 22-56. The junior title was won by BC Olympic Development Programme rider Chris Lawless, who clocked 20-49 to beat Luc Hall by ten seconds in a one-two for Kuota-GSG-Spinergy with last year’s runner-up Scott Davies (Liverpool Mercury Dolan CC), 21-25, settling for third place this time. 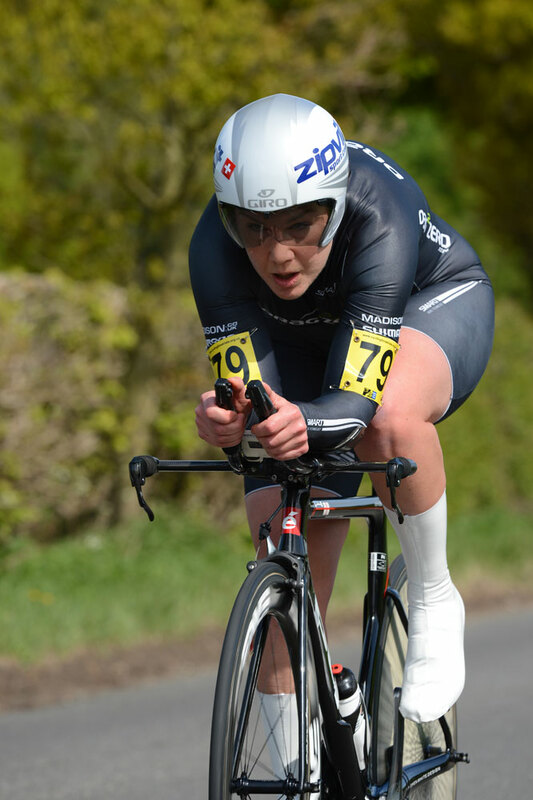 To complete a good day for the Barnes family, Hannah’s sister Alice (Scott Contessa Epic) clocked 23-42 to move up from third place last year and take the junior women’s title ahead of Bryony Board (Glendene CC), 24-34, and Keira McVitty (Team Zenith-www.buzzcycles.co.uk), 24-51.